Using science to treat you. KORR Solutions may sound like a scary thing, but if we told you that we had an effective way to help quicken your results, wouldn’t you give it a try? With our VO2 Max metabolic testing, we can help you reach your fitness goals quicker and more efficiently. When you come to us for metabolic testing, we will take a look at your oxygen consumption and build a program based on your results. 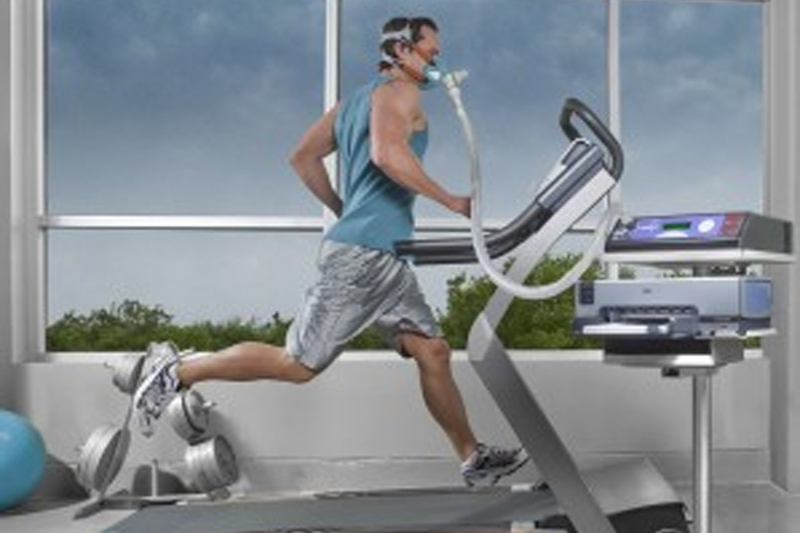 While wearing a mask-like tube, we will ask you to run or walk on a treadmill while data collection commences. The results of your comprehensive metabolic panel will help you achieve your goals faster and in a more efficient way. Our CardioCoach will collect data based on your breathing and deliver us with accurate information that we can implement for your benefit. If you’re unhappy with a recent weight gain or are looking for a way to shed those extra winter pounds, KORR Solutions metabolic testing is perfect for you. With a metabolism test, our personal trainers are able to see how your body reacts to activity. They use that information to build a plan around what your body needs and design a program to meet your specific needs, targeting your body in an effective way. No two people are built the same; using KORR Solutions metabolic testing, we are able to implement fitness programs to meet your exact needs and give you the results that you are after faster. It is always the right time to start your fitness journey; contact us today to find out more about our KORR Solutions and how a comprehensive metabolic panel can help you reach your goals.